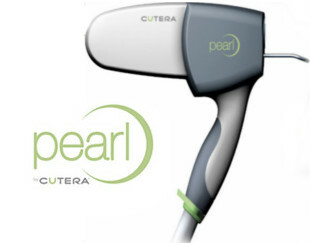 The Cutera Pearl Resurfacing Procedure combines the impact of resurfacing lasers with the gentleness and safety of non-invasive procedures to treat aging and sun-damaged skin. Pearl reduces wrinkles, uneven texture and solar damage with fewer treatments and less overall recovery than other technologies to provide a healthy, “pearl-like” glow. During the procedure, the top layer of skin is treated with pulses of light in a pre-selected pattern. The laser simultaneously sends heat to the deeper layers of skin to provide longer-term benefits. The skin will immediately form a protective dressing which will peel off after three to four days revealing new, healthier skin. After at least one to two weeks, you will notice overall skin clarity, smoothness and softness. Watch the video to learn more about The Pearl Procedure.